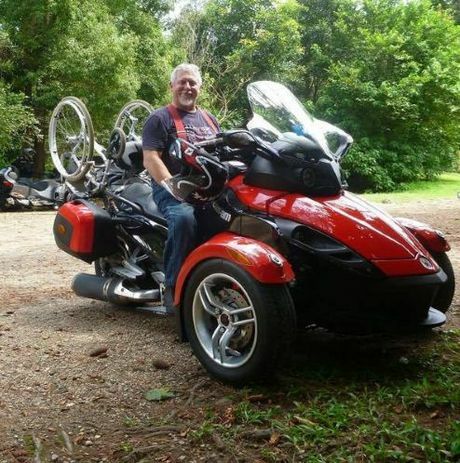 Peter Bowring was riding this motorbike when he crashed in the Killarney area. He spent a night in freezing co nditions on the side of the road before being found. A HANDICAPPED man who crashed his motorbike has been found by police after spending a freezing night on the side of the road. The man, believed to be Peter Bowring, 62, was riding his motorbike on Spring Creek Rd near Killarney when he lost control and went off the road. He spent a night in freezing conditions before he was found by police this afternoon at the bottom of a 10-metre embankment. Mr Bowring was last seen at the Queen Mary Falls carpark near Killarney about 4pm yesterday. He was last seen with his distinctive three-wheeled motorcycle. 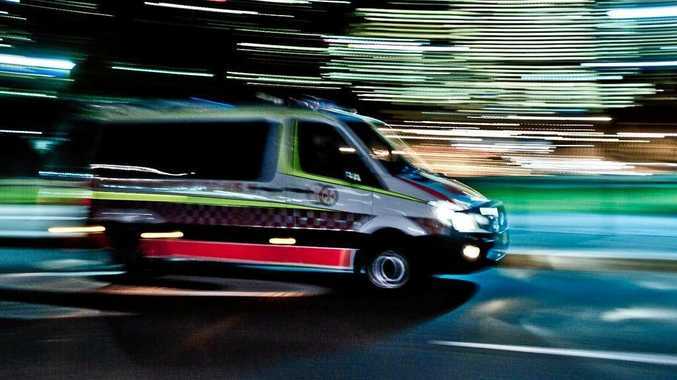 The 62-year old man was expected to return to his Albany Creek residence yesterday. Mr Bowring is described as Caucasian in appearance with a solid build. He has short grey hair and goatee. He was last seen wearing a leather jacket with red and black piping, jeans, and a black helmet with red flames. He uses a wheelchair and is able to take his wheel chair on and off his bike.